Our friends at the BFI have lots of family friendly fun planned for you this June and July. You can enjoy their weekly family friendly film screenings plus they have a plethora of activities and workshops happening throughout. The BFI’s monthly Family Funday preview events – a perfect day out for all the family – takes place once a month. Highlights include Song of The Sea a stunning animation about magical, mystical creatures whilst in July they are screening the new Pixar film, Inside Out (3D) – exciting! And for those amongst you who have budding filmmakers in the family there’s the Filmmakers Clubs every Saturday. The BFI Southbank has changing facilities and there’s plenty of room for buggies and pushchairs – it’s a great place to meet friends for coffee. Kids Eat for Free all day and every day at the Riverfront Cafe see the menu here. 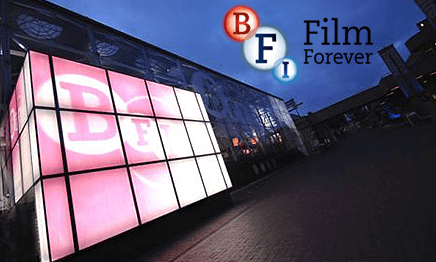 Fancy winning a BFI Membership? We have three to give away! BFI Membership is the best way to enjoy film at the BFI all year round. • £1.50 off BFI Southbank and BFI IMAX tickets. • BFI Southbank and BFI Festivals programme guides. • Savings on an annual Sight & Sound subscription. Pop over to our Competitions Page to enter!